Evgraf Petrovich Chemesov born in a poor family and at the age of sixteen in the tradition of the time was determined for military service. With drawings by the young Lieutenant of the life guards Semenov regiment met the Trustee of the Moscow University (founded 1755), founder and first President of the Academy of arts (founded in 1757), close to the Empress Elizabeth statesman count I. I. Shuvalov. He convinced E. Chemesov to leave the army and enter the Academy. In the development of skills E. Chemesov achieves such quick and great progress that his teacher, the famous German engraver G. F. Schmidt will speak in the spirit: "This boy, a true genius in the engraving, is a great honor"
Unfortunately, life is great talent ended disappointingly early. He became ill with tuberculosis. All the efforts of I. I. Shuvalov to save the artist was unsuccessful. Chemesov (Evgraf Petrovich) — one of the best Russian engravers, the son of a poor nobleman of the Nizhny Novgorod province, was born in 1737 and sixteen years of age was recorded to the service as a corporal in the life guards Semenov regiment. According to the testimony of J. Staehelin in his notes about the fine arts in Russia, Chemesov in his youth fine doodling pen, practicing in the reproduction of engravings, mostly of Wagner. 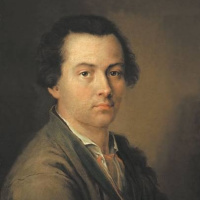 A self-taught artist was noticed by I. I. Shuvalov in 1759 summon from the regiment at the Academy of Arts, and promoted to Lieutenant Koporsky regiment, which is then transferred to Astrakhan. Studying at the Academy of the famous G-FR. Schmidt, Chemesov worked with such diligence that soon got throat consumption; his patron, Shuvalov, took him for the summer to his cottage, but health Carver could not recover. Despite this, in the first year of his stay in Schmidt’s class, Chemesov etched masterful portrait of Peter the Great from the original by Nattier, and in 1760 the extremely talented tiny portrait of I. I. Shuvalov (with the rotary). 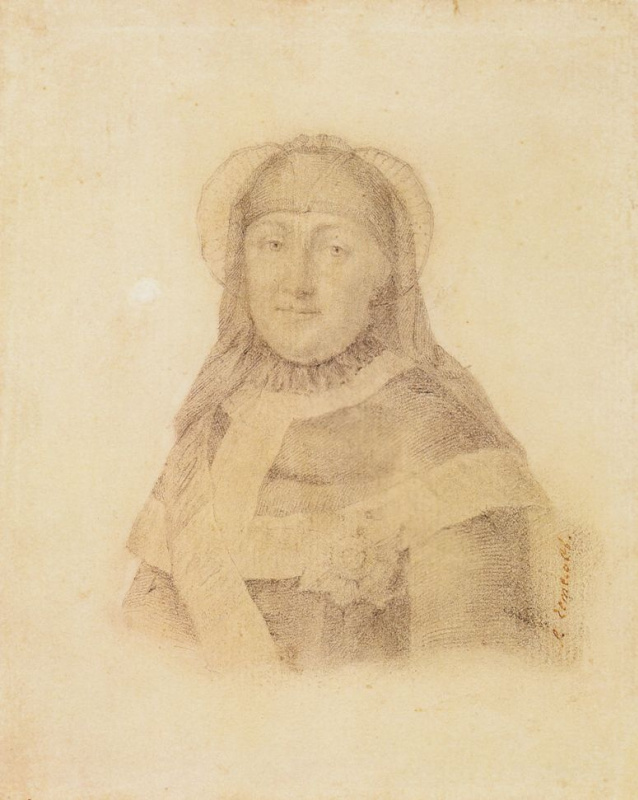 After that, in 1761, executed a profile portrait of Baron A. S. Stroganov (drawing by Schmidt) and two portraits of Empress Elizabeth Petrovna — one, more of the original Current, and the other, known among collectors under the name "the Black Mantilla," with the original count rotary. 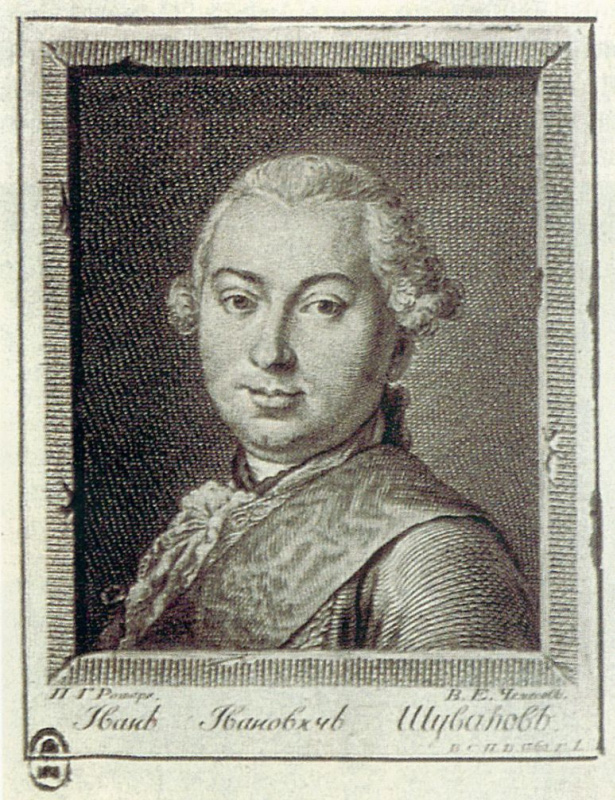 For it is the excellent product that rivals the best works of Schmidt, the Academy awarded Chemesov in 1762 the title of academician and was soon after entrusted to him the superintendence of the printing chamber and control, along with Tahera engraver, engraving remaining, leaving Schmidt to foreign lands, without a leader. 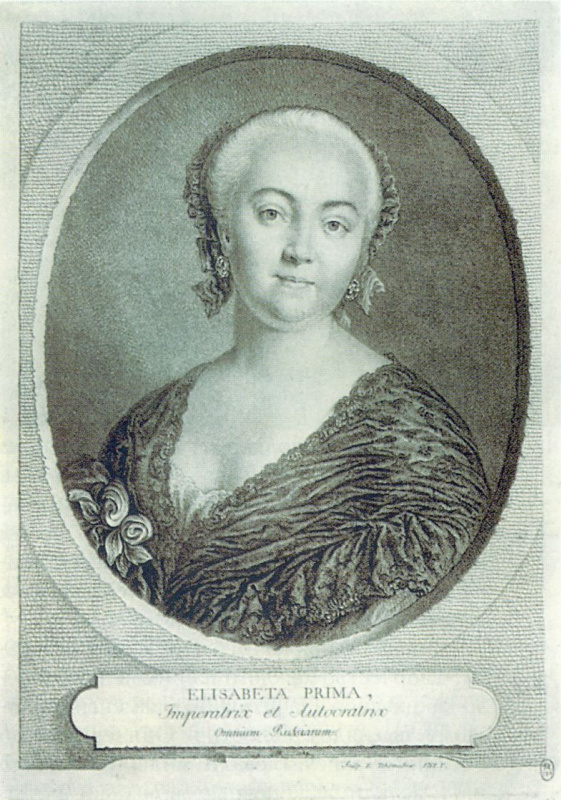 In the last two years of his life (in 1764 and 1765 years) Chemezova had to experience a lot of trouble. Shuvalov, a good man, sincere, real lover of art, was replaced in Academy dry and meticulously I. I. Betskoy. 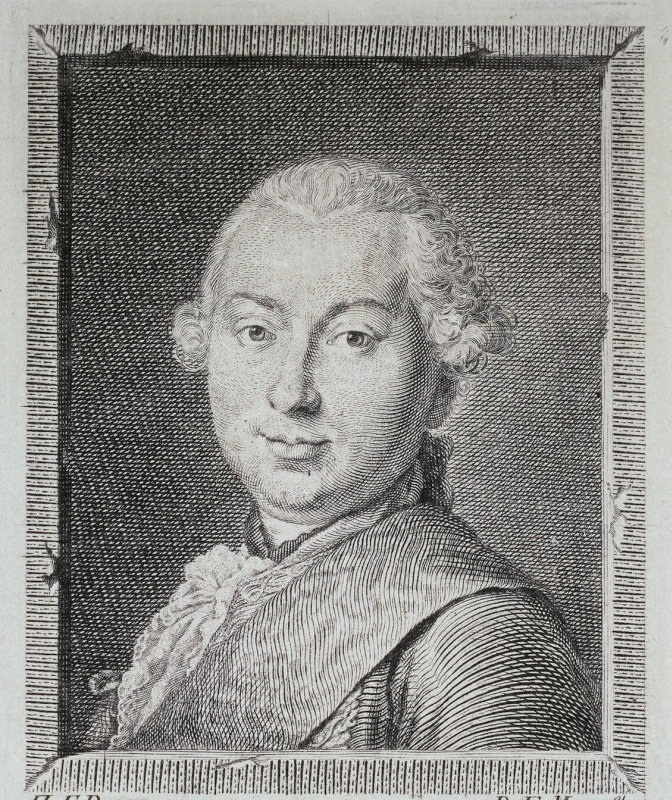 Began to nagging Chemezova for failure to comply with different formalities, but most of all upset by his disdain given to him by the Academy: when I was in 1764 established the so-called big Academy Directors was appointed to her Gillet, de La Motte and Torelli, Chemesov were not included in their number. This so offended him that he immediately filed a motion to dismiss him from the Academy, and presented it to Council on 14 boards of his engraved prints from them, offering to buy them all for 250 rubles. The resignation was given to him on the same day, but the boards are not agreed any decision. Irritated Chemesov wrote the conference Secretary of the Academy M. A. Saltykov: "If the Academy honors 250 rubles in a large me an award for my presentation boards and prints, I count not myself for the great add-on boards and prints in the Academy to give, and you, sire, please to discharge the same words to declare the gentlemen members". 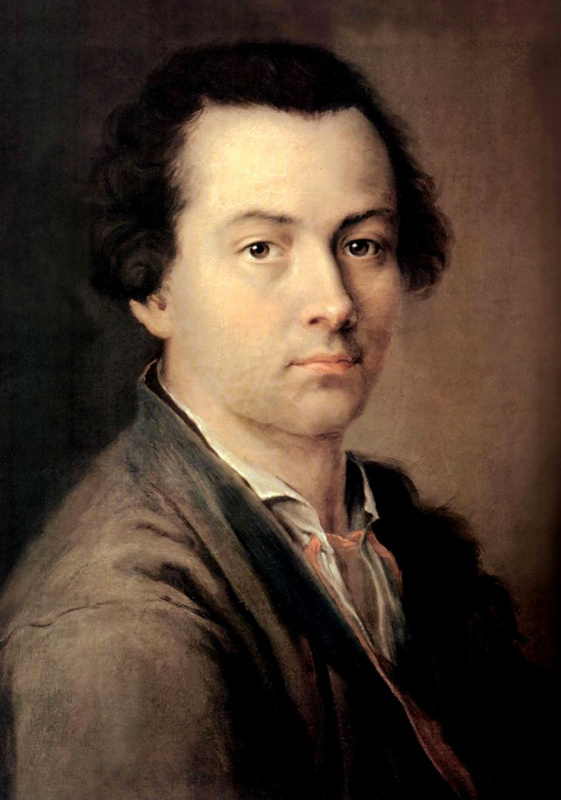 Offended such a daring letter, the members decided to pay him for 13 boards required 250 rubles, and on the fourteenth Board, with his own portrait (executed by drawing de-Villi), as well as the prints with her to give him back. On leaving the Academy, Chemesov received the rank of collegiate assessor, the office of Her Majesty, under the command of favour to him of count Sievers. The new service, he did not manage to produce any work, as it soon died 30 Aug 1765 All prints Chemesov there are no more than 17 years. Some of them mentioned above. 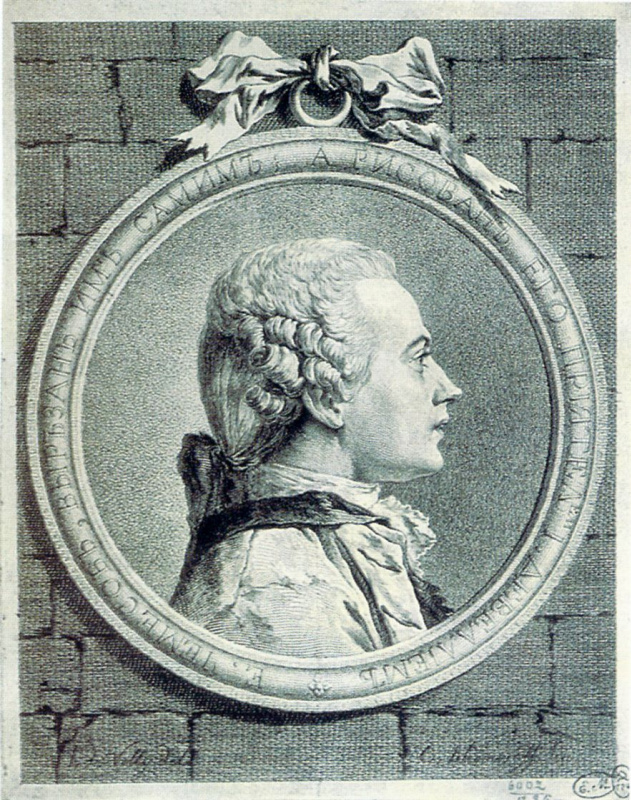 The rest of his prints, famous art lovers, the portraits of the first Russian actor F. G. Volkov (Losenko), portrait of Empress Catherine II (the profile with a rotary count), field Marshal count B.-Chr. Minich (profile) of the graph Gr. Gr. Orlova (same with drawing de-Velli), the same nobleman (gr. Rotary), I. Gr. Orlova (Rokotova), Grand Duke Paul Petrovich and count J. E. Sievers. CP. article P. N. Petrov on Chemezova in April the book "Library" for 1860, and the publication of da Rovinsky "Russian engraver Chemesov" (St. Petersburg, 1878).